The world has crossed over to a new nuclear era, where a fateful error -- rather than intentional aggression -- is the most likely catalyst to nuclear catastrophe. American leaders have been warned more than once of incoming Russian missiles -- in each case, it was a false alarm resulting from technical or human error. Former Russian President Boris Yeltsin was mistakenly alerted to a possible U.S. missile strike after the launch of a Norwegian scientific rocket. After every incident, we deceive ourselves that we can solve the problem with better technology and training -- or we reassure ourselves that the combination of diligence and good luck we experienced during the Cold War will continue. But do we really believe we can prevent a nuclear catastrophe indefinitely in a world with nine states with nuclear weapons and significant suspicion and hostility in many of their mutual relationships? The risks of human error involving nuclear weapons are compounded by the potential for deliberate cyber-threats to warning and command-and-control systems. Hackers could insert a false warning of a nuclear attack into national warning and alert systems and falsely attribute that attack to an innocent country. At a time of heightened global tensions -- with too little communication or cooperation between nuclear rivals, and only minutes of decision time -- how would leaders of states with nuclear weapons respond? The Donald Trump administration recently declared plans to broaden the role of nuclear weapons in U.S. defenses beyond deterring nuclear attacks on the U.S. and our allies. Its new National Security Strategy states that the arsenal is now “essential" to preventing not just a nuclear attack but also "non-nuclear strategic attacks, and large-scale conventional aggression.” A leaked draft of its forthcoming Nuclear Posture Review has similar language. 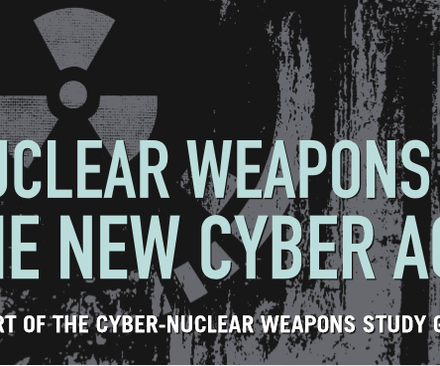 Expanding the range of threats against which nuclear weapons might be used -- which implies, for example, “strategic” cyberattacks -- will greatly increase the risks of miscalculation or blunder. If a cyberattack took out a major part of our electrical grid, would we be able to quickly and confidently identify the attacking country? If Russia, China, India, Pakistan and others adopt similar policies, are we moving down a path where nuclear use becomes highly probable? First, countries with nuclear weapons should continuously review and protect against the vulnerability of their nuclear warning and command systems to cyber threats. The focus should be on correcting current weaknesses and instituting a process of continuing assessment and updates. 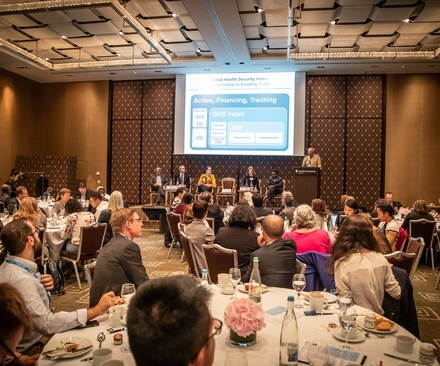 Some findings and conclusions could be shared with other nuclear powers -- reducing risks for all. Each should recognize that a cyber attack against nuclear warning and command systems is a prescription for global disaster. Second, despite significant disagreements on many global issues, the U.S., Russia and other nuclear-armed nations must work together on areas of existential common interest -- chief among them, reducing the risk of a nuclear error. Once fired, a nuclear ballistic missile unfortunately cannot be recalled before it reaches its target. Removing U.S. and Russian nuclear weapons from Cold War-era “prompt-launch” postures -- where they are ready to launch and hit their targets within minutes -- would eliminate “hair-triggers” and increase decision time for leaders. In doing so, Washington and Moscow would set an example for all states with nuclear weapons. Military experts in each of these countries should be mandated by their leaders to explore this and other options that would give them more time to make fateful decisions about nuclear use. Third, the U.S. and Russia should reinforce the principle -- articulated eloquently by Ronald Reagan and Mikhail Gorbachev -- that a nuclear war cannot be won and must never be fought. Have the two largest nuclear powers already forgotten this powerful historical breakthrough that was essential to ending the Cold War? The most immediate priority should be to structure and posture U.S. and Russian nuclear forces to deter nuclear use and reduce the risk of an accidental, mistaken or unauthorized launch. Against this backdrop, the current Russian concept of “escalate to de-escalate” -- —i.e., limited nuclear use designed to create a pause in the conflict and open a pathway for a negotiated settlement on Moscow’s terms -- and U.S. calls for more “usable” nuclear weapons taken together make the world a vastly more dangerous place. The U.S must have a safe, secure and reliable nuclear deterrent as long as nuclear weapons exist. But in today’s nuclear era it is not enough. There is still time for the world to come together to reduce and ultimately eliminate nuclear threats -- most urgently by taking action to reduce the risk of an accident, mistake or miscalculation. This should be a core principle and key objective shaping the Trump administration’s nuclear policy. 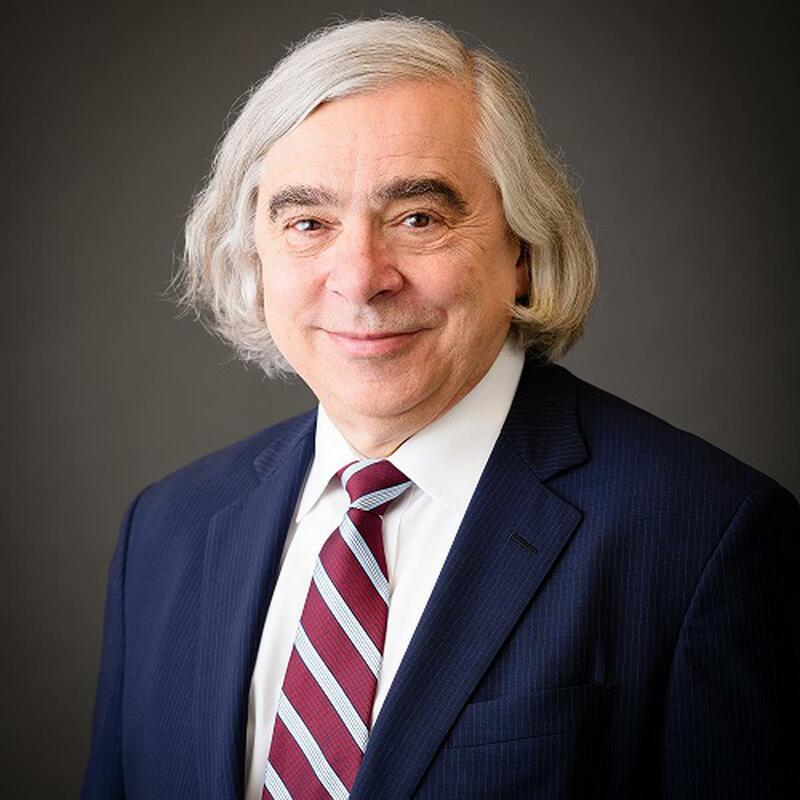 Ernest Moniz, the former U.S. secretary of energy, is co-chairman of the Nuclear Threat Initiative. 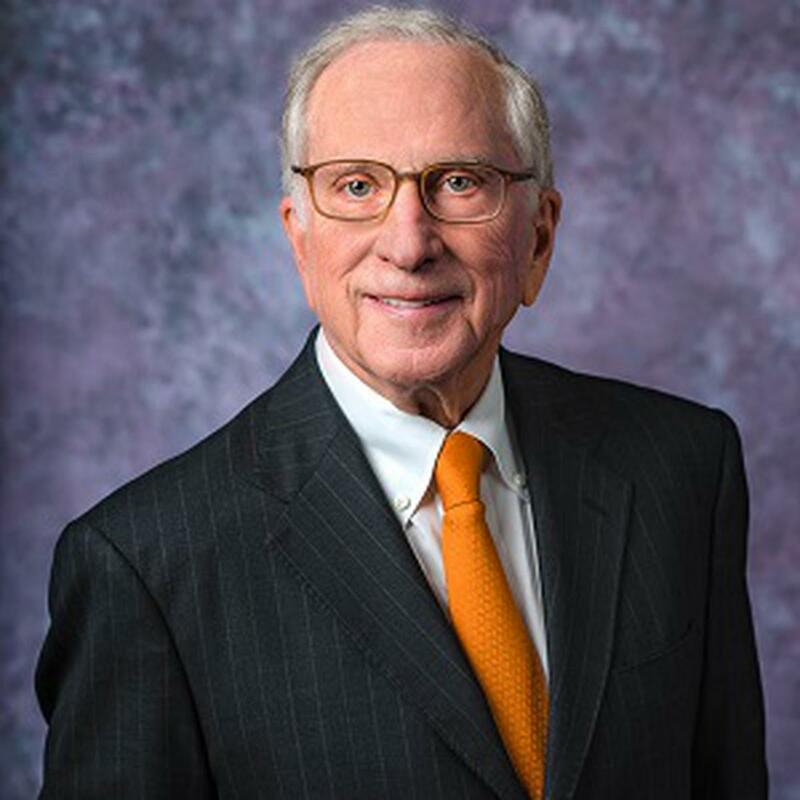 Sam Nunn, a former U.S. senator, is co-chairman of the Nuclear Threat Initiative. 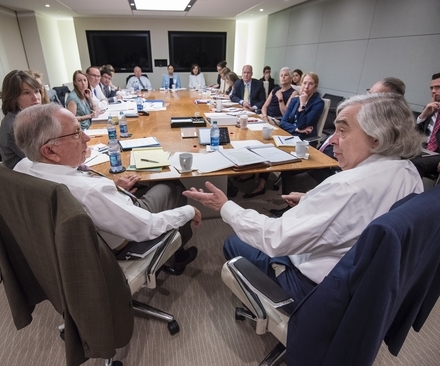 Ernest J. Moniz and Sam Nunn call on the United States and the other nuclear weapons states to take immediate action to reduce the risk of a nuclear accident, mistake or miscalculation in Bloomberg View.